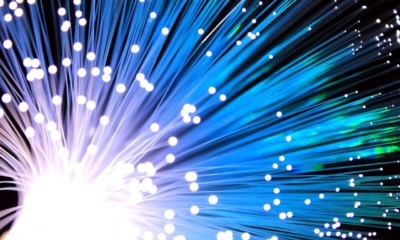 In today’s competitive world, no business can hope to survive without online presence. For every business venture to survive, a website is a must. 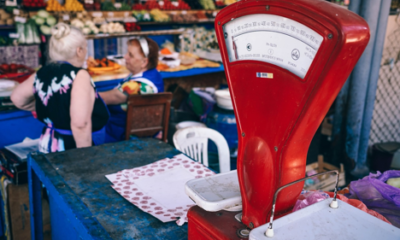 But, the million-dollar question here is – “Can small businesses afford to get their websites built from professionals?” Well, you have the choice. If you don’t wish to spend a lot, you can adopt the DIY route. 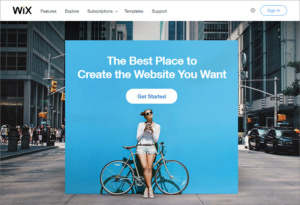 And if you want to know how that’s possible, read on, as we offer you useful info on the 10 best free website builder software for small businesses. Wix offers you Artificial Design Intelligence (ADI) to let you create a website in a jiffy, without wasting time in coding and designing. Wix brings together premium SEO features, advanced ecommerce, and tremendous marketing features to make your website a success. Your Wix website will be mobile optimized. Also, you get access to an App Store, from where you can download add-ons for Wix, to enhance the platform’s capabilities. 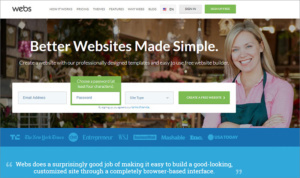 Yola, a free website builder,offers easy to use drag and drop website building interface. It offers easy to use widgets for most webpage functions, such as videos, text, images and forms. Users can adjust them in any way they like. Yola lets you customise your webpage to your tastes. Also, you have the freedom to choose a variety of professionally designed and responsive themes for your site. 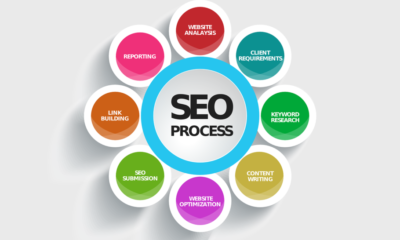 Another added advantage of using this website builder is the SEO Scan feature. This feature allows you to know about broken links and helps you analyse keyword densities to create content intelligently. 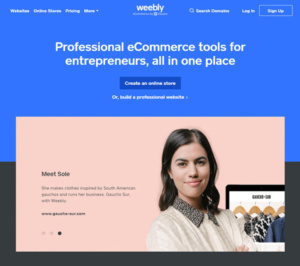 A dependablefree website builder software, Weebly offers clients with powerful e-commerce tools that help them to create their website professionally, apart from superb blog creation functionality. Weebly’s powerful mobile apps help in managing your store orders easily. 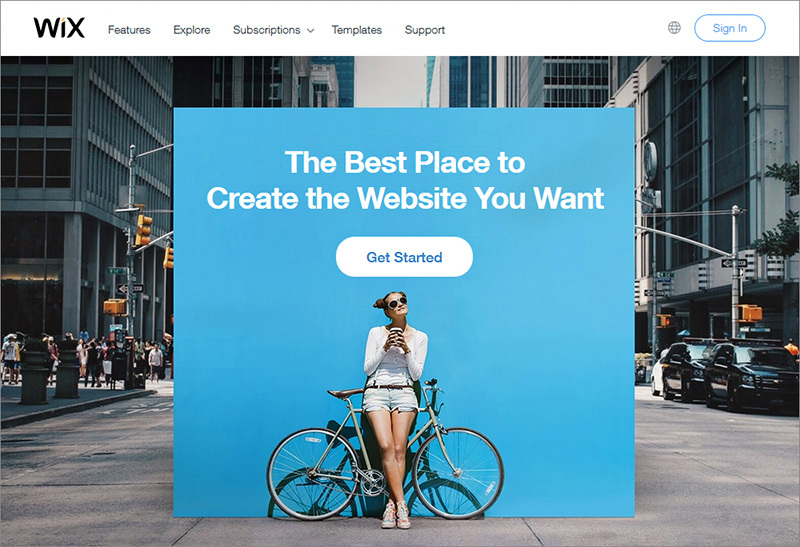 Check out the Weebly App Centreand add new features to your site directly.Its SEO tools help you promote your website online. With its drag and drop feature, you can create a professional looking site in a jiffy. Other features like intuitive and easy to use dashboard, and video hosting helps you make the most of the free plan. 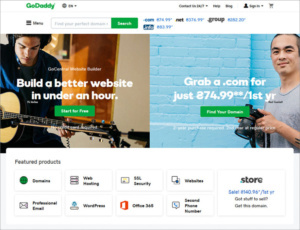 Here’s another highly recommended small business website builder that offers several easy to use features. With SiteBuilder, you can create your very own e commerce store or a professional blog with minimum effort. The features include blog builder, over 1200 premium templates, website editing history and live chat tool for customer support. 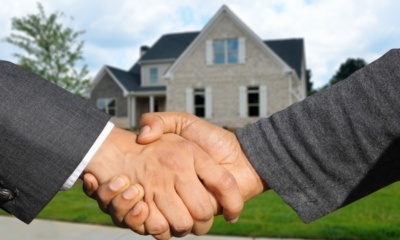 It can be used both by amateurs as well as techsavvy people. Webs is all you need to create a professional website, using its beautiful templates that can be customised to suit specific needs. With Webs, you can change colour, font as well as background images. 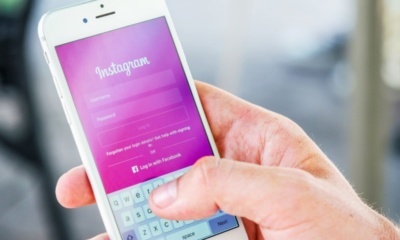 Additional features like social media integration helps you to drive traffic to your. Webs also aids your business to get listed digitally in five minutes straight. You can now add more life to your site by adding vibrant photos from the photogallery offered here. Another advantage of using Webs is the ease with which you can start your very own online store. You can use Web’s web analytics tools to get to know your customer’s website browsing behaviour better. Create a quick website with the help of WebStarts. With an easy to use design interface, this platform offers mobile optimisation tools, online store, hosted video, automatic domain setup, image editing, icon library, and site map support. Creating a website with WebStarts is intuitive, courtesy value adding features such as right click disable function, favicon support, image library, live chat, blog, HTML access, content deliverynetwork and anchor links. WordPress is a highly recommendedplatform for businesses of all sizes. 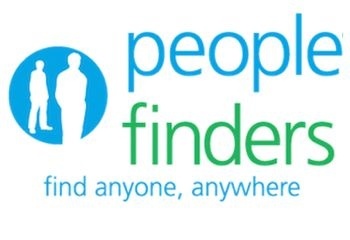 It offers SEO tools, professionaltemplates, free analytics-features that enable you to keep a track of your progress. 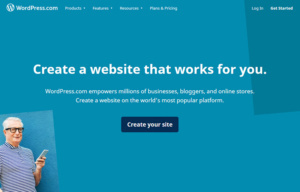 With WordPress, your business gets onlinequickly. With it, you can create any type of site as you want. Also, it offers a wide range of themes to choose from. This builder aids you in creating pages and formats them pretty easily. 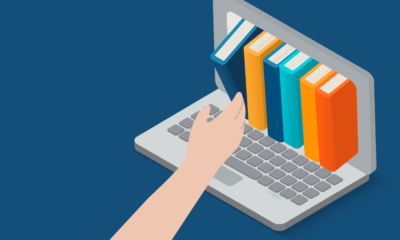 WordPress’ USP is its rampant community, with millions of users already onboard, and enough documentation and guidance available for businessmen to troubleshoot and make the most of the platform. 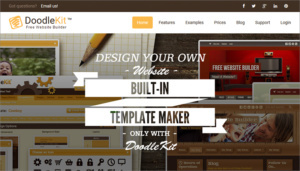 A free website builder, DoodleKit can help you in creating a five page site in no time. Let’s say, about five minutes! 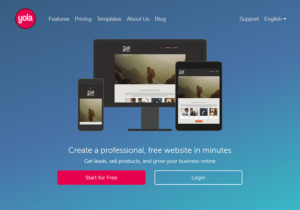 With many cool website templates to choose from, and the freedom to create a free blog, this platform helps you build your site in a professional manner. In addition to these, it offers you with shopping cart feature that’s pretty easy to use by customers. Once, you have created your site, you can get revenue with Google AdSense. Using DoodleKit enables you to keep a statistical track of your site, i.e., how users are engaging with the content. Known the world over as the best hosting service provider, this site builder can help you create your site easily. It offers features like photo editing software, drag and drop interface, storage, social media links, etc. 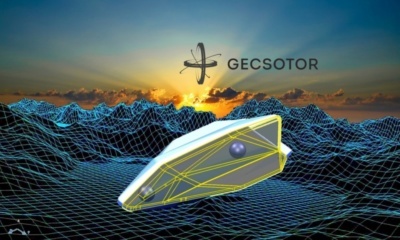 Among the other noteworthy benefits are SSL security, SEO, email subscription signup, client database, Getty image library, email marketing, website templates, malware scanning and removal. For better features like blog, e commerce and mobile apps, users have to take the premium plan. 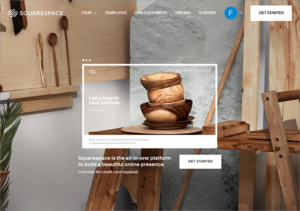 Squarespace is a business website builder offering its users with great design templates. Some features to inspire you tochoose it include its Style Editor, powerful social integrations, SEO, analytics, free Google fonts, image manager, MailChimp, SSL security, content management, access control, drag and drop interface, order processing and product catalogue. If you want your business to get noticed online, choose any of these above mentioned site builders today and start rolling! Are Fleet Cards Reliable For Businesses Or Not?